What happiness to discover the last album of Kathryn Tickell and the Darkening "Hollowbone", this artist, too rare in France, is the reference of the Northumbrian bagpipe / land north of Humber, an important county of the north of England which goes back to the Anglo-Saxon era. This bagpipe bellows to a warmer, less aggressive, it is the only English bagpipe that has crossed the times! She is a sensitive, sensual artist and her music is borrowed from her queries and her many encounters and collaborations: Chieftains and Boys of the Lough, and has participated in four albums of Sting. This new album stands out from the previous ones, thanks to the collaboration with the musicians of The Darkening, who bring a contemporary dimension. The themes are current and rooted in Northumbrian's cultural, social and political heritage. 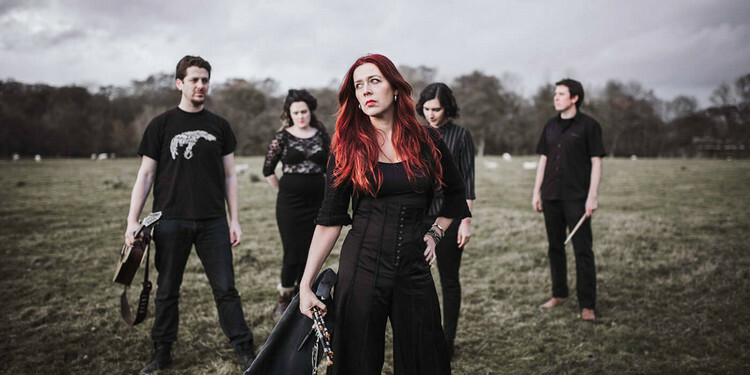 Kathryn Tickell asks us about this turbulent period or borders become obstacles preventing men from escaping the confits, she relies on the natural environment of Northumbrian to create with The Darkening music in energetic folk rock moods or his bagpipe finds always his place. His soft, clear, warm voice in "Darlington" leaves no one indifferent. Amy Tchatcher's accordion fuses with Cormac Byrne's bagpipe and bodhran, backed by Kate Young's dancer's violin, Kieran Szifris's mandolin and joined by Joe Truswell's wild drums "O-U-T spells out". Do not miss this amazing album, which questions us about the madness of our world, and fuses tradition and modernity with rooted contemporary music.